I was wondering if anyone has found a clever way to attach the lower mesh grill to the bumper. 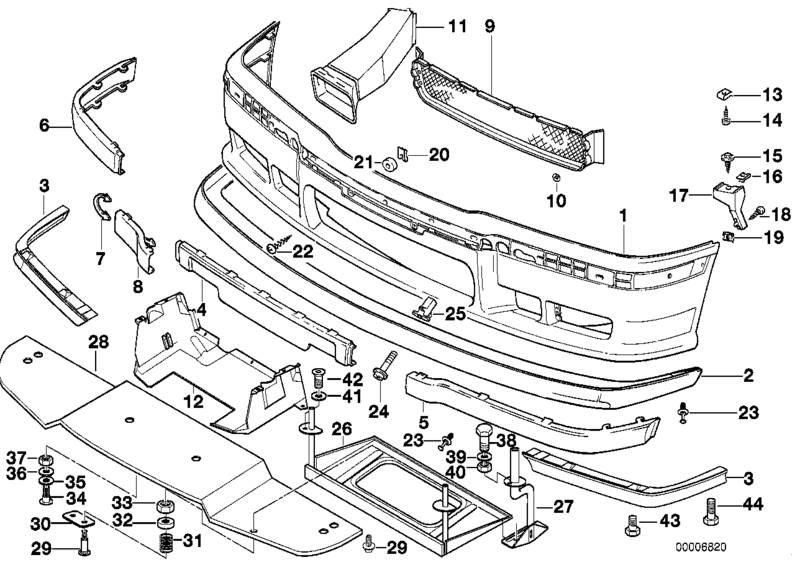 By design, the bumper has these little 1/8" tabs that extend towards the radiator, and the mesh slips over these tabs. There are little locking washers that press onto the taps, securing the mesh in place. I dunno, probably about 8 years ago I took out a fox driving on some backroads, and the fox took out my mesh grill along with all of the tabs that held it in place. Aside from buying a new bumper, does anyone else have any ideas or solutions? For reference, I am talking about ITEM 9 below. ITEM 10 are the washers that press on holding it in place. All times are GMT. The time now is 06:43:38 PM.